Several states have waged fierce battles recently over partisan gerrymandering, when states are redistricted in favor of a particular political party. Now Missouri wants to lead the nation with a new, combined requirement for partisan fairness and competition for redistricting plans. But drawing legislative district lines is an exercise in trade-offs. 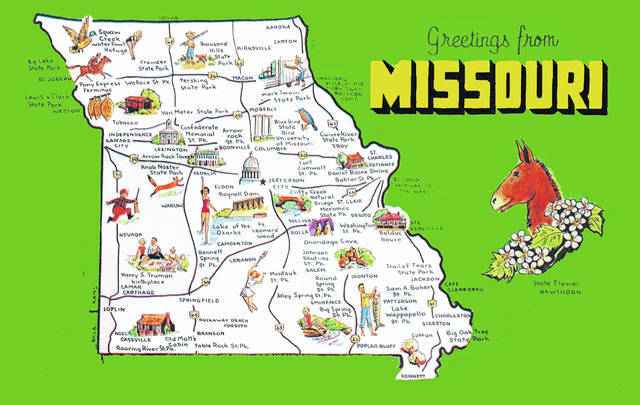 Achieving one goal means sacrificing another, and, as a political scientist who studies the mathematical principles of redistricting, I find Missouri’s new plan to be uninformed by scholarly research. Missouri’s goals are in tension with each other. Minimizing partisan bias, while important, is best achieved by sacrificing competitiveness, which does not serve a clear purpose. Creating competitive districts doesn’t necessarily create competitive elections. Once an incumbent wins, that party has the seat locked in, and whatever party ratio gets created by random variation gets locked in. That’s part of why drawing lots of evenly split districts doesn’t work, when played out over time. Drawing evenly split districts creates even more problems when one party has a state-level advantage. The party attempting to gain an advantage “packs” its opposing party’s voters into a small number of districts, where they constitute inefficiently large super-majorities. If a party has 80 percent of the vote in a district, some of those voters could be distributed into other districts, allowing that party to win more seats while still preserving the district in question. In contrast, the advantaged party gives itself relatively narrow majorities in as many districts as possible. That leaves the disadvantaged party as large minorities in those districts – “cracked” – wasting still more of their votes. To limit partisan gerrymandering, one must first measure it, and that is harder than it sounds. One proposed measurement of partisan bias was at the core of Gill v. Whitford, the Supreme Court case on partisan gerrymandering in Wisconsin that remains fundamentally undecided. That measure essentially looks at the number of wasted votes for each party, based on the premise that each party only needs a majority in a district to win a district. If a redistricting plan wastes more votes for Party A than for Party B, it’s considered biased. But this relies on knowing the answers to a few questions: What proportion of voters want Party A to win, what proportion want Party B to win, and what proportion of candidates of each party eventually win? While that sounds simple, factors other than partisanship can affect election results. It’s not enough to just look at party registration. That doesn’t respond consistently to change over time. For example, if a voter changes preferences, that voter won’t necessarily change party registration, so when a constituency shifts in its composition towards either the Democratic or Republican Party in terms of attitudes over time, registration numbers won’t pick that up. What’s more, when it comes to election results, research has shown that incumbents have a a consistent advantage, mostly due to name recognition. As political scientist Gary C. Jacobson put it, “You can’t beat a somebody with a nobody.” When the challenger is an unknown figure, incumbents will draw individual votes from the challenger’s party, whereas inexperienced challengers have difficulty drawing votes even from within their own parties. So, if there is an incumbent in the race, election results won’t show a clear picture of the electorate’s partisan preferences. Measuring the underlying preferences of a constituency, then, is difficult. When election results differ from what redistricting committees wanted or expected, is that a bias in the plan, or a deviation induced by factors specific to the candidates? This is why measuring bias in a redistricting plan is a contentious debate. Nevertheless, there is a clear reason to minimize bias. A biased plan will produce a delegation that is unrepresentative. The problem is that one cannot have both competition and partisan fairness. In fact, the more evenly balanced districts a plan creates, the more the balance between elected Democrats and Republicans tends to deviate from the preferences of the state. Missouri fails to understand that. Say a state is split precisely 50-50 between two parties. What would happen if redistricters made every district a microcosm of the state, with every district perfectly even? On average, each party will have an equal chance before any incumbents enter the picture, but random chance will probably not result in a precise 50-50 split in seat allocation once elections are held. The result will be at least a slight partisan imbalance in seats, with it simply being a coin toss who is favored by that imbalance. Then, once one party has the incumbency advantage working for it, the imbalance becomes locked in. So an attempt to create balance at the state level through 50-50 districts can easily misfire. Most states, though, aren’t 50-50. Drawing 50-50 districts in such states requires sacrificing proportionality elsewhere, precisely because the state is not 50-50. Suppose you want District 1 to be a 50-50 district, but the Democrats are only 45 percent of the population. In order to bring the Democrats up to 50 percent in District 1, you need to pull in voters from adjacent districts. The process of bringing an adjacent district down to 40 percent Democratic is itself a distortion. That then introduces rippling effects. In other words, a mandate for competition is a mandate for distortion because creating 50-50 districts requires creating districts that deviate from the composition of the state, with ripple effects. Basic statistical principles show the problem with drawing competitive districts. There is, however, a way to minimize bias. It is called a bipartisan gerrymander. Draw the Democratic districts such that there are as few Republicans in them as possible, draw the Republican districts such that there are as few Democrats in them as possible. As long as each party’s voters are “packed” in a similar manner, the end result will be that the state elects Democrats and Republicans in the proportion that reflects the preferences of the populace. Minimal bias or competition – pick one. Justin Buchler is Associate Professor of Political Science, Case Western Reserve University in Cleveland. Buchler does not work for, consult, own shares in or receive funding from any company or organization that would benefit from this article, and has disclosed no relevant affiliations beyond their academic appointment. Case Western provides funding as a founding partner of The Conversation US.